String or scotch tape . 1. In the big mixing bowl, pour 4 cups of water and add 2 tablespoons of salt to it. Mix well till the salt dissolves. 2. 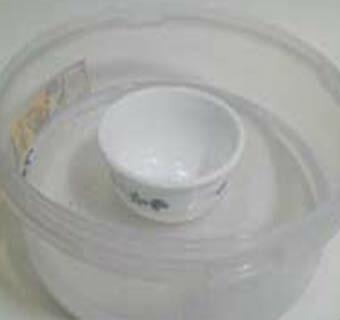 Place the empty small cup in the centre of the bowl as shown. Make sure the salt water does not get into it. 3. Take the plastic wrap and cover the bowl. Seal the edges with string or tape. 4. 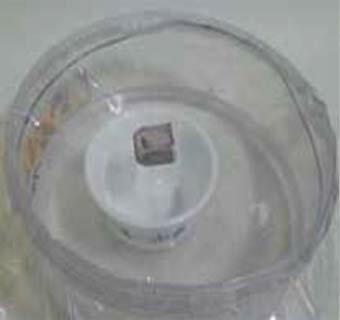 Place the stone over the plastic wrap directly above the small cup so that the wrap slopes towards the centre. Now, place the bowl under the sun for a few hours. 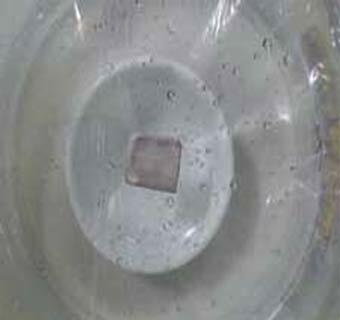 In a few hours, water droplets will start forming beneath the plastic wrap. 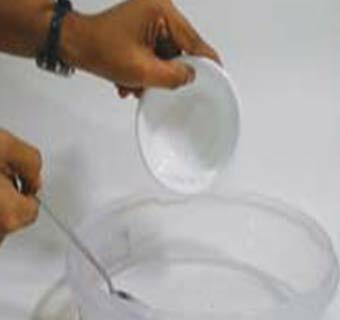 These droplets will slide towards the centre of the bowl and collect in the cup. If you drink this water, you will notice it does not taste salty. How does salt water become drinkable? Water can exist in three states: solid, liquid and gas, depending on how much energy the water molecules have. When the bowl is placed under the sun, the water particles at the top of the water surface gain energy from the sun and turn into gas (water vapour). This process is called evaporation. 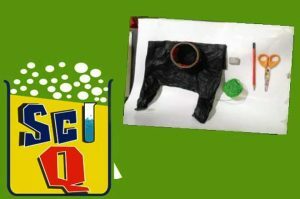 As the water vapour is blocked by the plastic wrap, the water particles begin to lose energy and transform back into water and collect beneath the wrap as water droplets. Since the wrap slopes towards the centre, so do the water drops which then collect in the cup. This water is pure because only water can evaporate and not salt, which is then left behind in the bowl. The process of removing salt from saline water to make it suitable for human consumption or agriculture is called desalination. As the world’s population continues to grow, there is a need to find alteranate sources of drinking water since fresh water resources are limited. Scientists are tapping the sun’s energy and creating largescale structures similar to our experiment to get drinking water from the oceans, which make up more than 70 percent of the surface of Earth. If fresh water contains 1000 ppm (parts per million) of dissolved salts, ocean water contains about 35,000 ppm of dissolved salts.